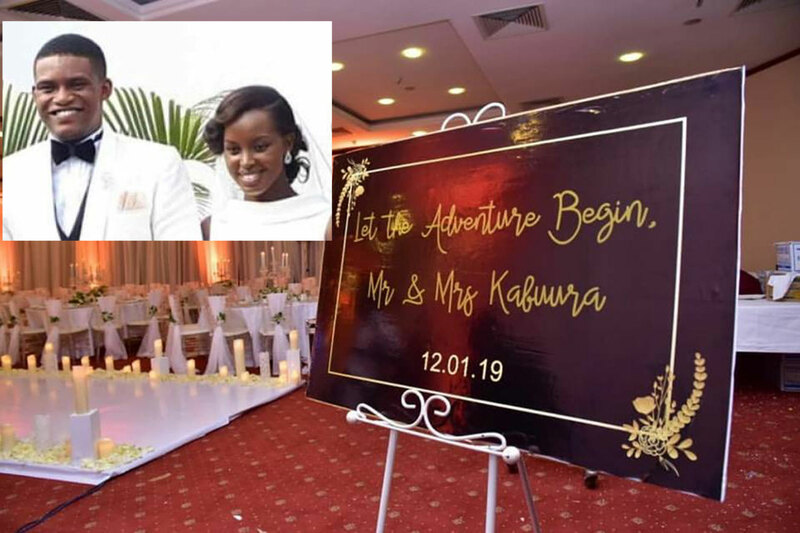 Journalists, Flavia Tumusiime and Andrew Kabura’s wedding created a frenzy on social media right from their introduction/Kuhingira ceremony to their wedding at All Saints Cathedral, Kampala. 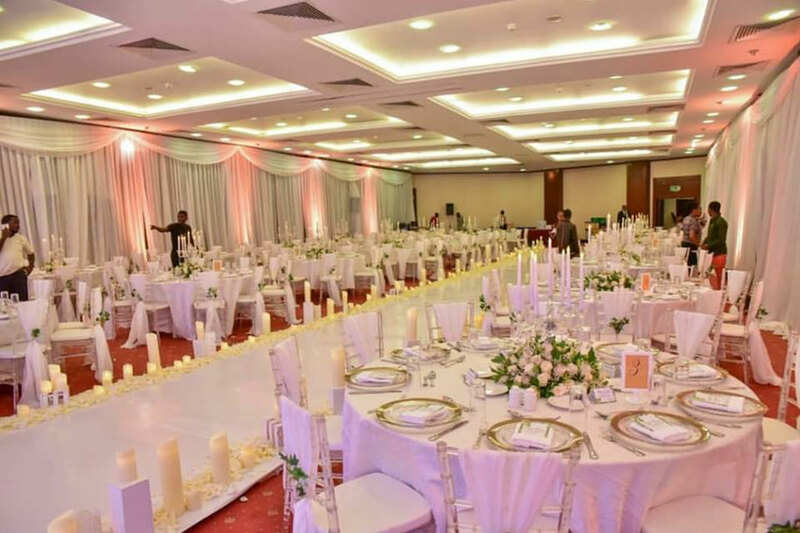 A reception precedes a church union and the Kaburas had theirs at Serena Hotel where they hosted only about 100 close friends and family. 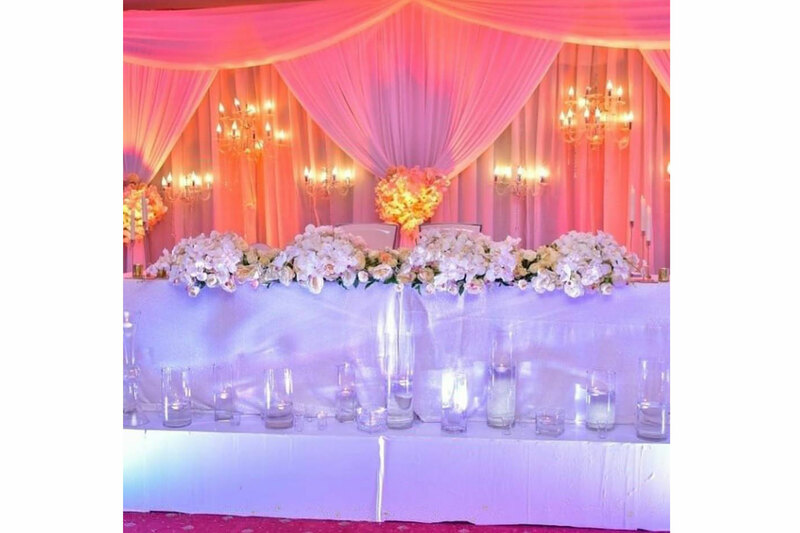 And now, here is the lastest from the Kaburas; Their wedding decor. Take a look. 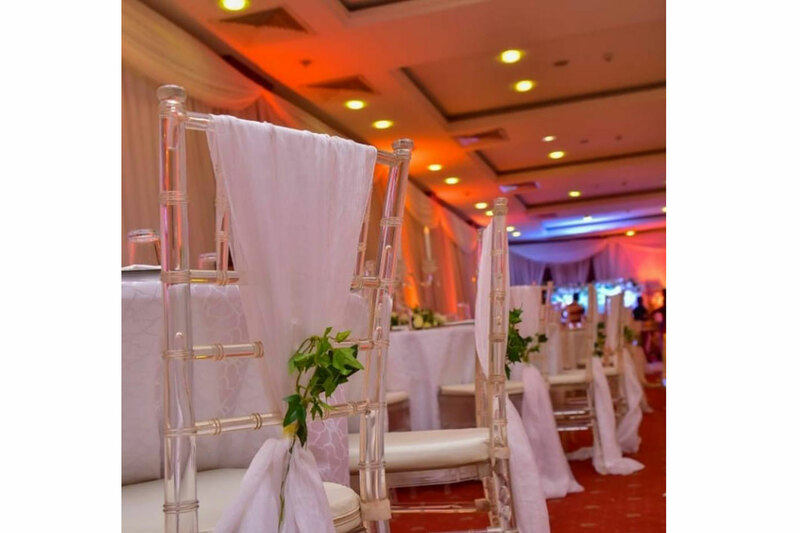 A closer look at the high table reveals its impeccable lighting giving the otherwise plain white drapings an orange glow. 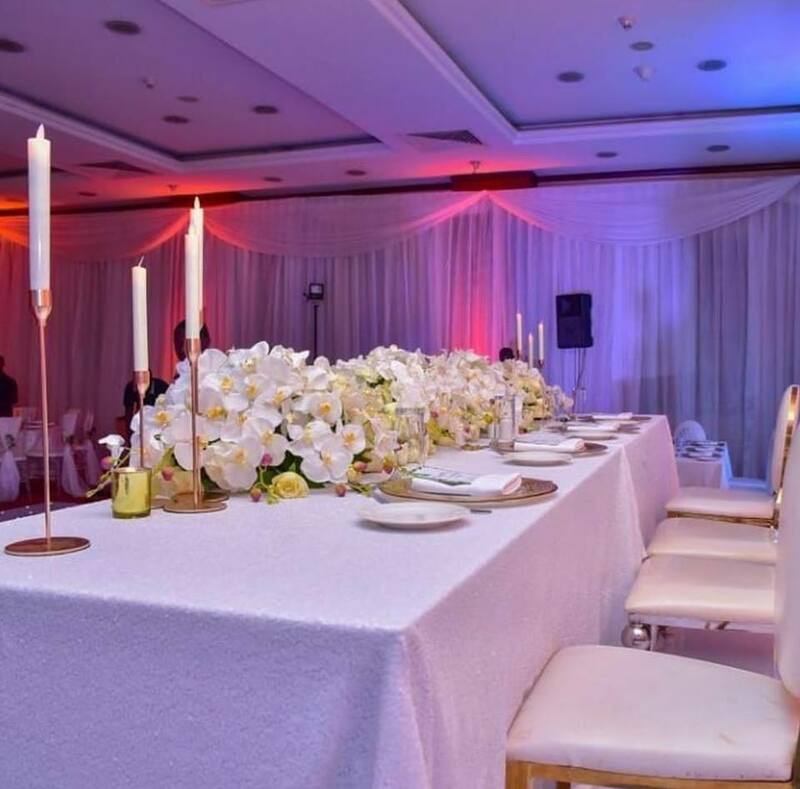 Four flowers bouquets were placed at the table and glasses filled with sparkling water (an effect of the lighting) at the front of the table . 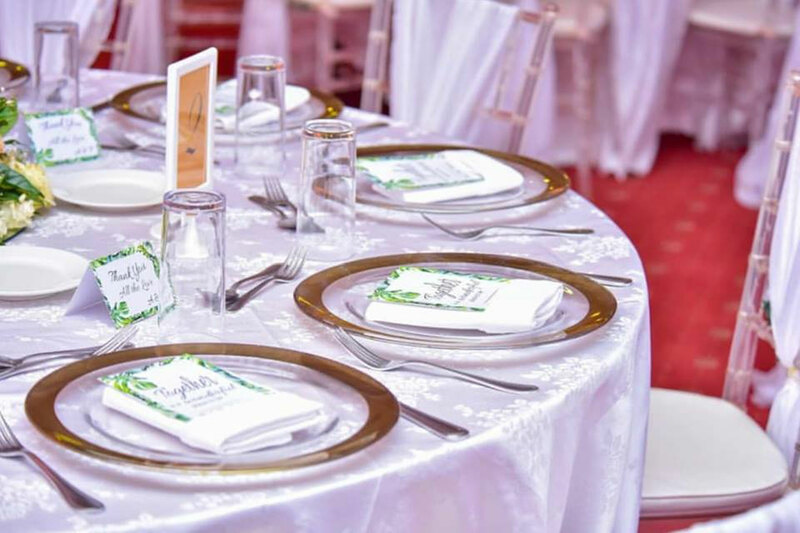 The sitting arrangement at the high table was made to allow for coziness between the newly wed couple while the matron and best man were sitting at a far distance, enough to let the main celebrants enjoy each other, yet near enough to render help if needed. On entering the reception area, there was a promise of a new adventure as written on the board. 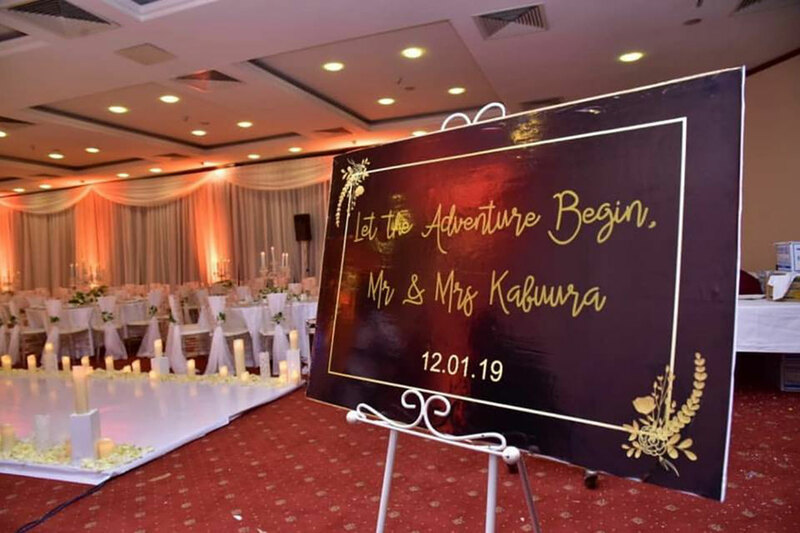 This message probably carries two sentiments; a dawn to an adventure of a lovely evening celebrating the union of the Kaburas and the beginning of the couple’s adventure as one. 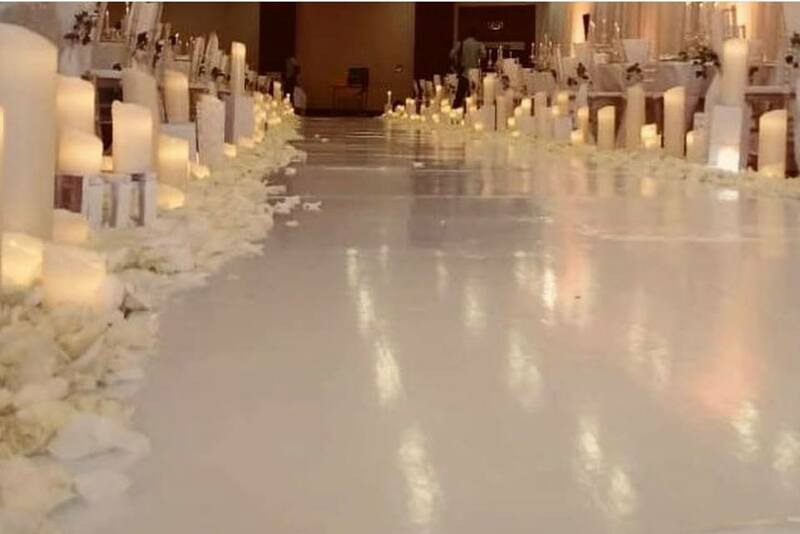 The road towards the adventure was all white and lit with candles, a sweet promise of the future. 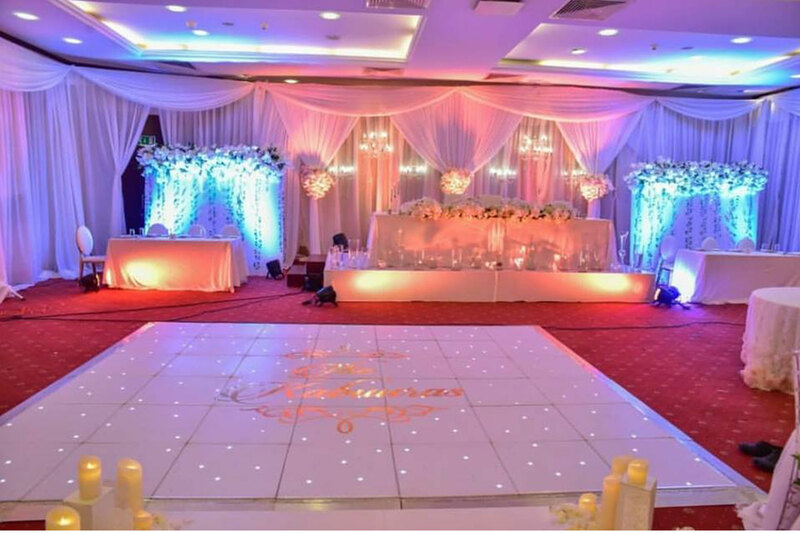 The guests sat at either end of the lit hall way. 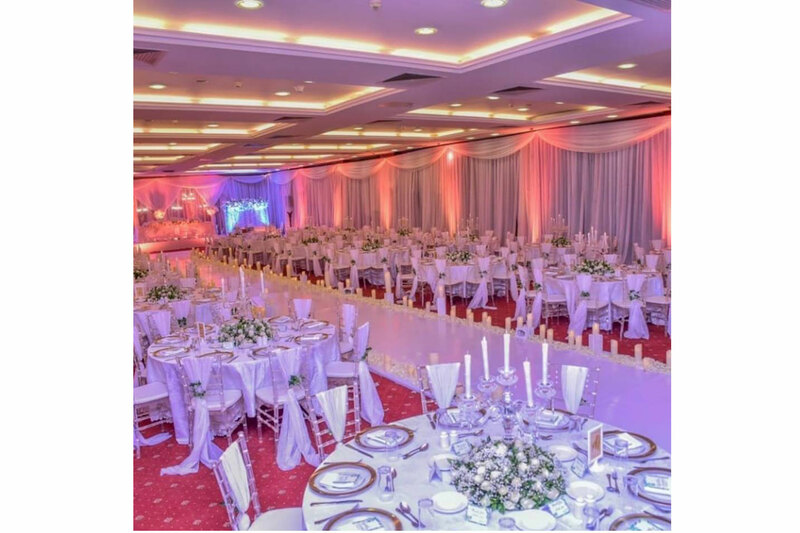 We see that the white decor was punctuated with a little green of the rose flower leaves and a contrast of the red coloured carpet of the hall. 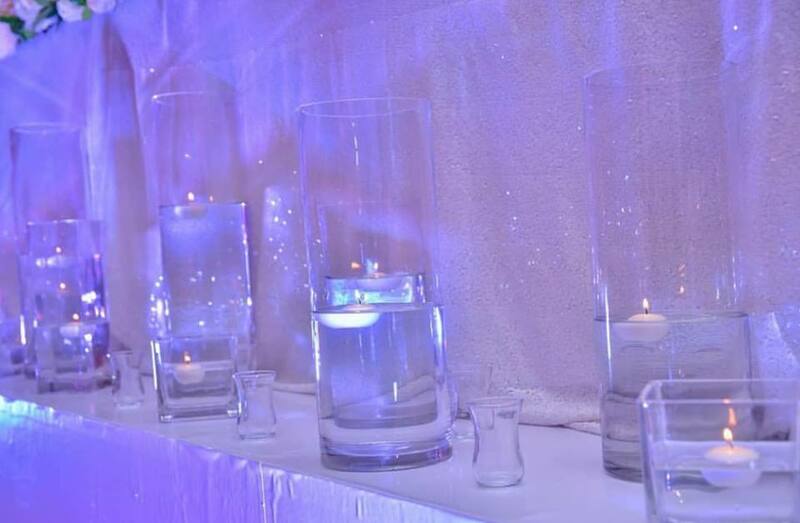 The sealing above was also lit for the ceremony. 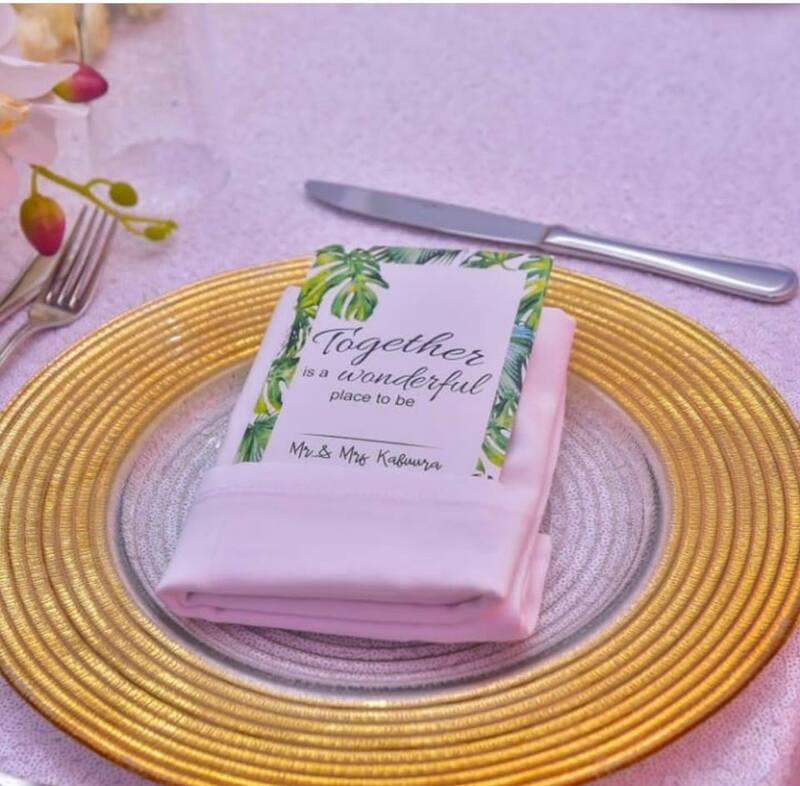 The plates in their gold and white colours contrasted well with the napkins, adding to the general decor of the wedding. Photos by The Decor Garage.